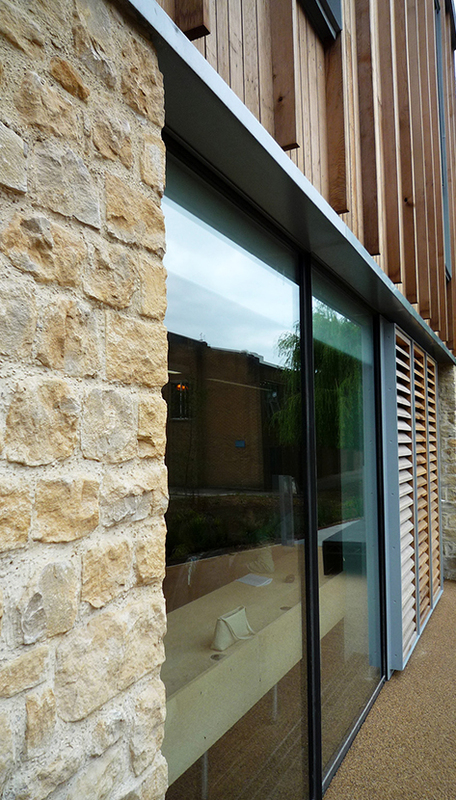 This new music teaching and performance building is situated on a campus within an architecturally sensitive area, surrounded by prominent listed buildings, some dating from the 16th century. 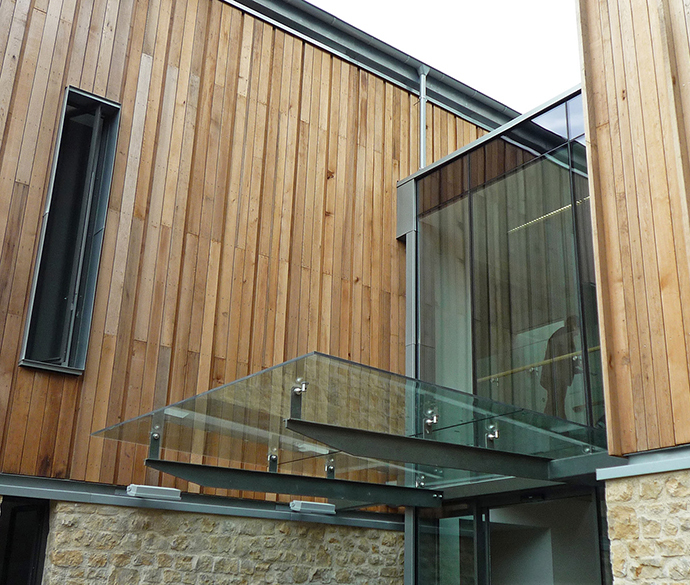 With this sensitive townscape in mind, the building was designed with rubble stone walls at the ground floor and timber cladding above, which reflects the building’s semi-rural setting. 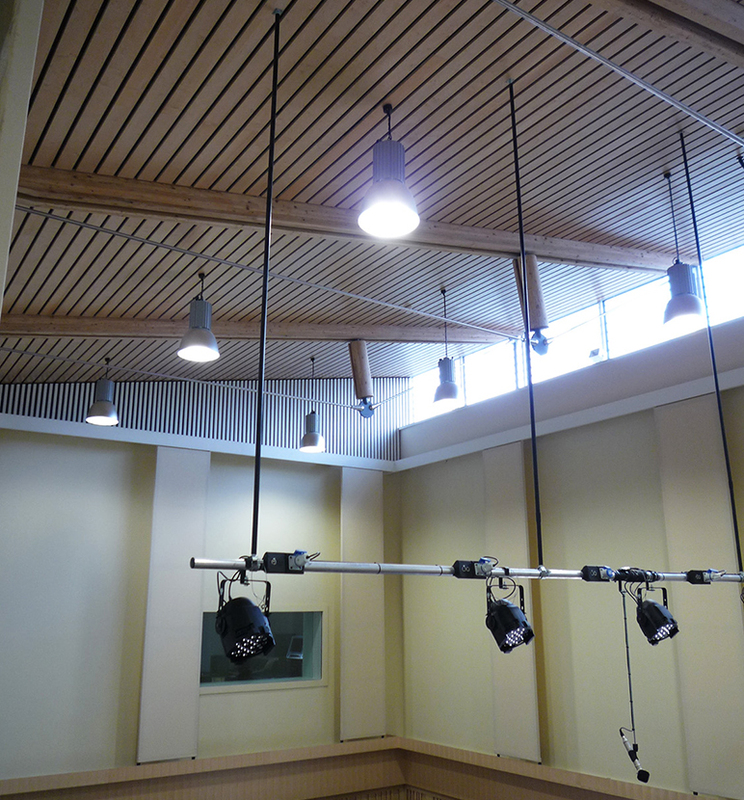 The program required a variety of performance and practice spaces with different acoustic requirements and the highest levels of acoustic separation. 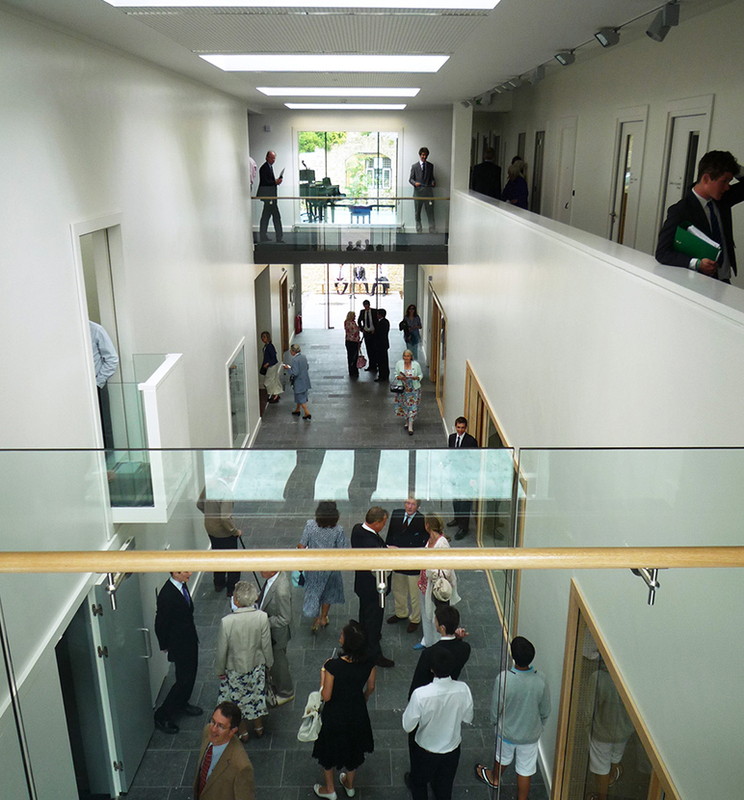 The building comprises two blocks linked by a daylight-filled glazed corridor connecting the rehearsal and performance spaces. 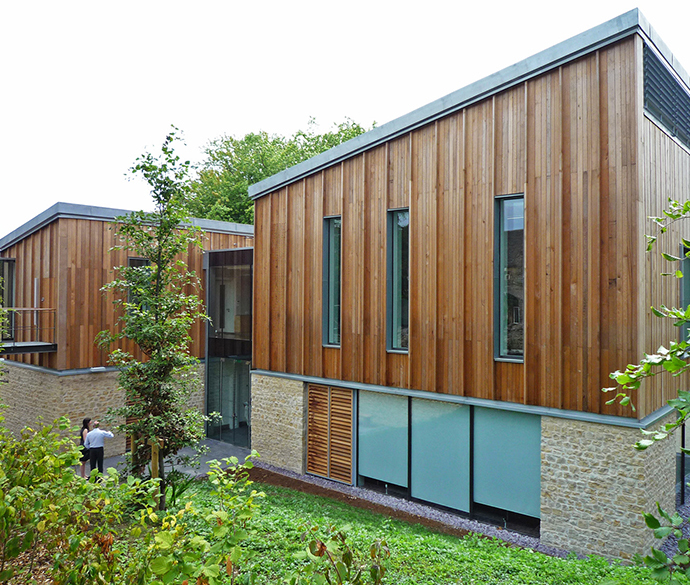 A two-storey block contains practice rooms with ensemble space and a library. 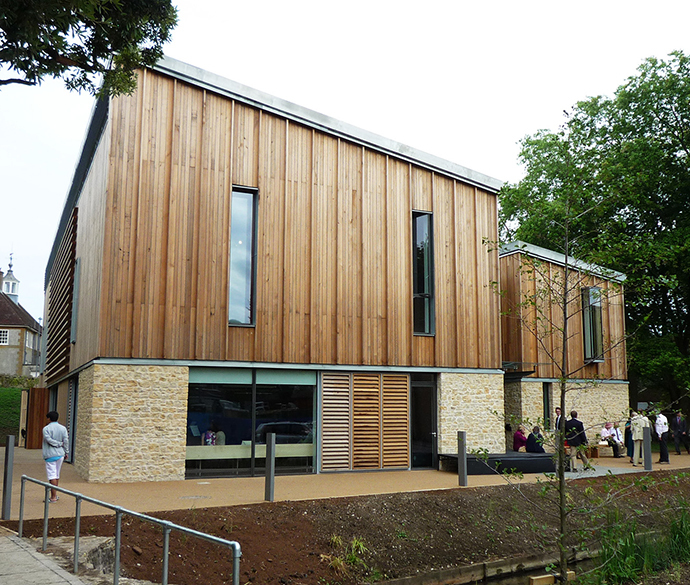 The school’s primary performance space, a triple-height recital hall with a roof supported by bowstring trusses made of glulaminated timber and stainless steel rods, sits between two-storey sound studios over classrooms. 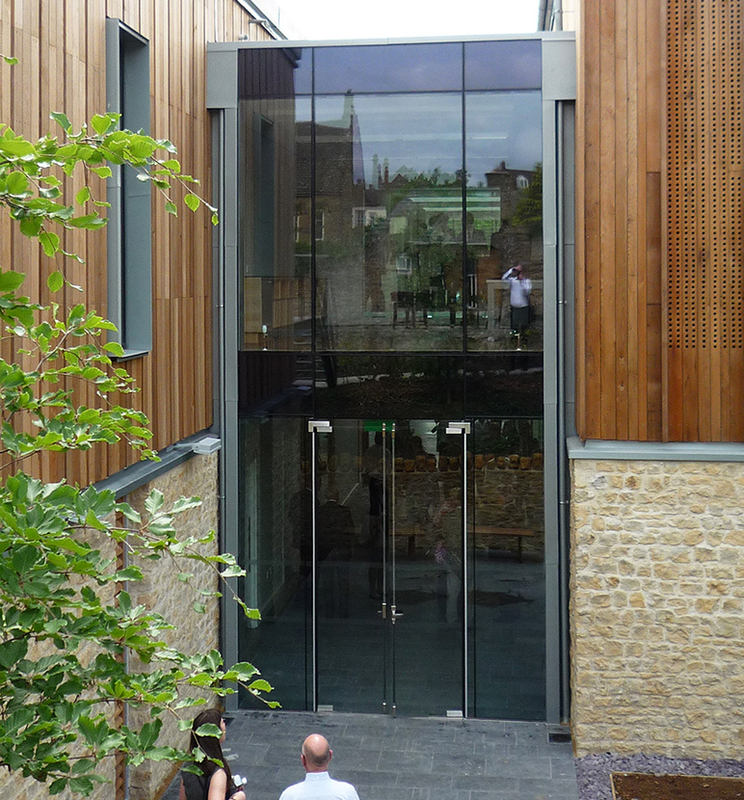 The engineering design also included the cantilevered glass canopy over the entrance as well as the sustainable urban drainage system (SUDS) that manages the rainwater run-off over the whole site.